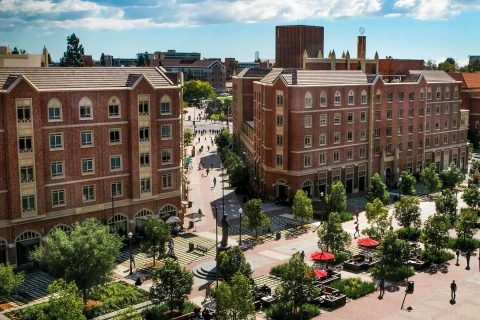 By the numbers, USC Village is massive: 1.25 million square feet, 4,800 construction jobs, 1.7 million hours of labor. Hundreds of those hours have been worked by two men. Both grew up in Los Angeles, got into trouble at an early age and then began a journey toward a better life working side by side on the biggest development in South Los Angeles history. 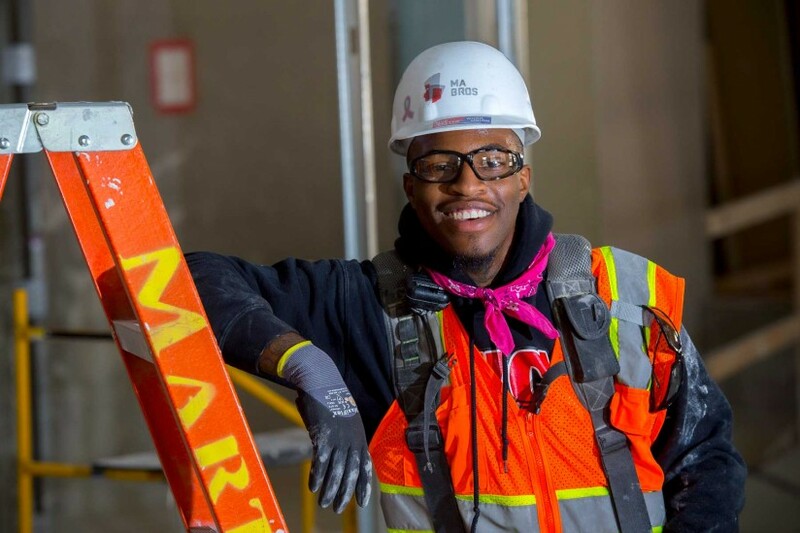 Every weekday for 11 months, Marcellous Bell has shown up an hour early for work as a carpenter apprentice at USC Village. That means getting up at 4 a.m. It’s an early start to a long and physically demanding day that in no way resembles the days he lived not long ago. “I remember it like it was yesterday,” said Bell, who was shot in the back in the fall of 2015. The bullet just missed his spine. Bell recovered quickly from what was clearly the nadir of a life that he said had included petty theft and fighting. A gifted football player, Bell drifted downward after his high school graduation. 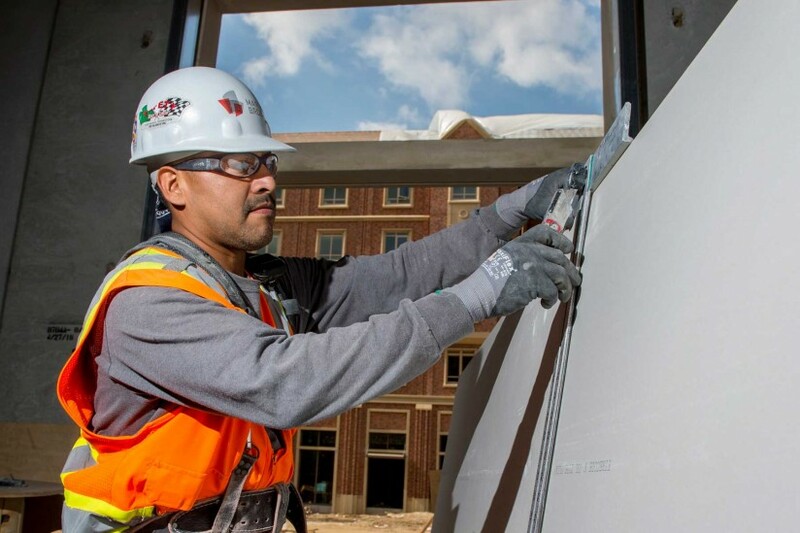 2nd Call helped lead Bell to a job on the USC Village construction site. Bell lives with his family just a few miles from USC. He recently finished his tasks at USC Village and is moving on to another construction project. He just bought a new car and plans to make carpentry a lifelong career unless, he said, he decides to open his own business. Bell takes pride in the work he did on USC’s enormous project. Safety and trust were not part of Jose Medina’s life for much of his youth. His first stay in juvenile detention came when he was barely into his teens; it was followed by stints in county jail and state prison. Now Medina is not only paying the bills, he’s also taking community college courses. The 37-year-old married father of two has checked off a list of goals that included a home for his family, a GED, a driver’s license, a car and enrollment in college courses. He overcame his fear of public speaking when he told his story at a Homeboy Industries event, which is posted on YouTube. Medina’s transformation began in 2010 when he became a volunteer firefighter while incarcerated. The program is reserved for inmates with records of good behavior and no history of violence inside prison. Medina fought wildfires on the front lines and slept in a camp. There were no bars and no locked gates, but once there was a bear. Bear scares aside, Medina found serenity and clarity in an unfamiliar setting. Working as a firefighter, Medina developed a work ethic and a new sense of self-esteem. Officially, he was an inmate firefighter, but only the second word of that title counted. “Our captain told us, ‘Once you put on that gear, you’re a firefighter, one of us,’” Medina said. Five years after becoming a firefighter, Medina was released. “When I got out, I was asking everybody, ‘How do you change?’” he said. Medina found answers at Homeboy Industries. Like 2nd Call, Homeboy Industries helps people who’ve been convicted of crimes to rehab their lives and find jobs. Medina started with an entry level clean-up job at USC Village in April. Supervisors noticed his hustle and he’s now working toward becoming a Journeyman. With rough carpentry finished at USC Village, Medina is looking forward to his next job on a construction site. First, though, he wants to see USC Village finished. 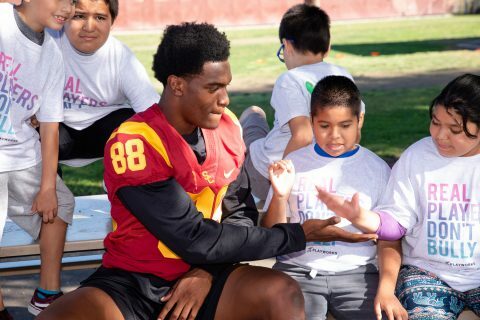 Tight end Daniel Imatorbhebhe has embraced community service, extending his impact at USC far beyond the gridiron. 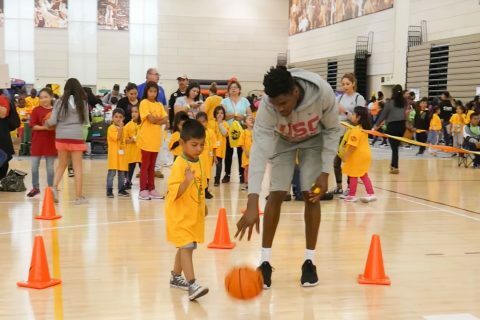 The hoops team uses its platform to inspire local kids and help others in need as part of Trojan Outreach, USC’s community volunteer program for student-athletes. 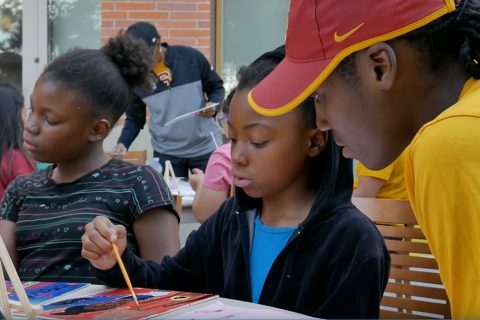 Trojans teach kids about sustainability, help veterans and take on tough issues like homelessness.